BookCliff Vineyards is a Boulder, Colorado winery making wine from 100 percent Colorado-grown grapes in its vineyards in Palisade using sustainable farming practices. 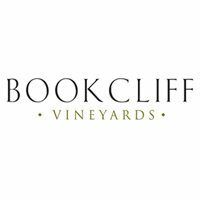 BookCliff Vineyards was established in 1999 and is known for its Cabernet Franc and Ensemble, a red-blend. Controlling the process from vine to bottle, BookCliff produces award-winning wines. Its wines can be found in liquor stores, restaurants and farmers markets in addition to the winery/tasting room. The tasting room offers more than 15 wines for tasting ranging from whites to reds and dessert wines. Taste five wines for $5 and receive a refund of the tasting fee on the purchase of two bottles. Located in north Boulder, north of the Intersection of Lee Hill Road and 28th Street/Highway 36 across from the Gateway Amusement Park.